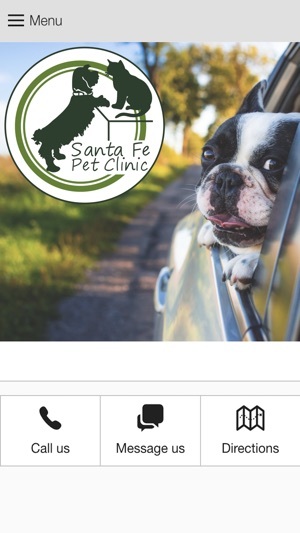 SANTA FE PET CLINIC, P.A. 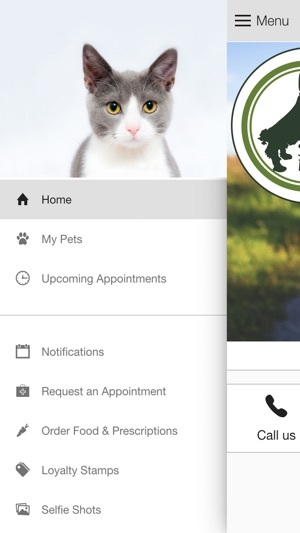 This app is designed to provide extended care for the patients and clients of Santa Fe Pet Clinic in Olathe, Kansas. If you live in Olathe or the surrounding area and need a trusted veterinarian to care for your pets – look no further. Dr. Leslie Wegele and Dr. Michelle Taylor are licensed KS veterinarians, treating all types of pets. Your pets’ health and wellbeing are very important to us, and we take every possible measure to give your animals the care they deserve. Best care for best friends—that’s what Santa Fe Pet Clinic is all about. Whether your visit is for a routine wellness exam, an ongoing health issue, or an urgent veterinary condition, our highly trained staff of professionals is ready to treat your beloved four-legged friend with the respect and compassion that they deserve. At our family-friendly, well-equipped facility, we take great pride in offering the best in veterinary care, including surgery, X-rays, hospitalization, laser therapy, grooming, and boarding. We are committed to partnering with you to keep your animal companion healthy and happy for many years to come.